There are several reasons why athletes fail to reach their potentials, such as low confidence. This makes the role of sport coaches even more important. Sport can be a vehicle for positive development. It prompts participants to learn, achieve and develop. Engagement in sport can foster personal growth. There are also studies that suggest sport can promote well-being and academic achievement. However, negative sporting experiences can also hinder development. These tips on the role of sport coaches have been taken from and adapted from Coaching Excellence. The role of sport coaches isn’t just to coach. Coaches are well placed to help athletes reach their potentials. They also play a key part in getting children and teenagers to engage in sport and physical activity. Sport coaches are in a great position to promote the active lifestyles, inclusion and engagement in physical activity. However, this promotion doesn’t happen overnight. It takes guidance and an understanding of the power of sport. Coaches should be equipped to deliver on these expectations and unlock athletes’ potential. Most people acknowledge the central role of sport coaches in the coach-athlete-performance relationship. We’ve all seen coaching examples of great coach-athlete-performance relationships. The most recent being Gareth Southgate getting the most of our his England team at the 2018 FIFA World Cup. As well as this, Southgate was credited with being a great support for Danny Rose, after he revealed his battle with depression. Sport has been associated with positive experiences and outcomes, such as improved confidence and academic achievement. However, it’s also been linked with negative experiences and outcomes, such as stress, burnout, dropout and low self-esteem. The role of sport coaches is to encourage healthy development in players. 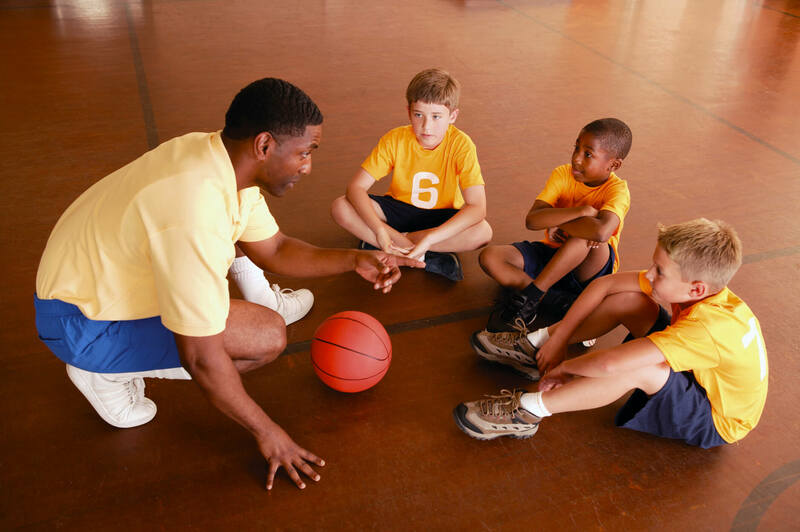 Coaches are important role models for children and youths and along with parents, are significant adult influences. How coaches interact with players determines the outcomes of participation. Therefore, coaches play a vital role in the contribution of sport to physical and psychosocial development. We’ll look at each section in detail below. Competence means to have a positive view of yourself in specific contexts. These can include sport, academic, work and social environments. To feel competent is a fundamental psychological need for humans in all cultures. Those who feel competent are more likely to be motivated to work hard and pursue and achieve excellence. The feeling of accomplishment that happens when an athlete achieves a goal is powerful. It can motivate them to keeping pushing forward. Therefore, sporting experiences can foster a sense of competence in all participants, including those whose abilities are less developed that others. Obviously, the role of coaches is central to promoting a sense of competence. Contexts that hinder the perception of competence are associated with lower motivation, performance and well-being. To have confidence, you need to have a positive sense of self-worth and self-efficacy. Having this view of yourself can influence motivation, the capacity to learn and also subsequent performance. Confidence is developed during childhood, however it can be fragile, especially into the teenage years. Coaches are well placed to help youngsters show more initiative and be more independent. Coaches that focus on self-reference improvement promote internal motivation, a willingness to work hard and resilience. Furthermore, they create athletes who view themselves positively. Coaches can help youth players develop competence in their sport and confidence in themselves. Connection is associated with a sense of belonging. Everyone wants to feel like they belong. A key reason for children’s engagement in sport is to pursue friendships. Athletes at the elite level also have the same need to belong that children do. Sport provides opportunities to develop a strong sense of belonging to teams and squads. These positive bonds among team members provide a warm and friendly environment in which to develop physical and social skills. Additionally, positive connections with coaches through constructive and encouraging feedback promotes enjoyment and other positive outcomes, such as increased effort. The development of character and caring hasn’t always been linked with sport. However, sport can contribute to the development of character and a sense of compassion. Moral development and integrity also come under this fourth C. Respecting others and demonstrating appropriate behaviours on and off the pitch is central to the development of good moral characters. Also, sportspeople with good moral character are sensitive to issues such as access for all and tolerance of differences. For more information on developing good moral character in children, read our blog post 7 great ideas for teaching sportsmanship to children. Developing these four C’s in athletes should be important to all sport coaches. Therefore, coaches need to be mindful of how they behave and how they go about contributing to the development of their athletes. Consideration of these four C’s in coaching practice strengthens positive sporting experiences for all. A focus on development encourages athletes’ continued engagement in sport, which is necessary for them to improve their sporting abilities. Creating positive learning environments can contribute towards athlete development. The ability to do this is key for sport coaches. The four C’s outlined above are a helpful way to think about the development of athletes. Coaches should consider how their coaching contributes to the four C’s of each athlete. Athletes that feel valued and are progressing in their development are more likely to remain in sport and benefit from sustained engagement. Therefore the work of sport coaches in all contexts should be recognised and valued. Coaches at all levels need to develop their coaching philosophies. These philosophies should be considered in conjunction with ethically based decisions about how to interact and behave in sporting environments. Coaches are solely responsible for their own learning and development. This includes reflecting on their work internally and with the guidance of others. Finally, ongoing engagement in sport requires coaches to find the right balance between work and play. Also, having a good work-life balance can improve the quality of coaching and fosters longevity in the role.